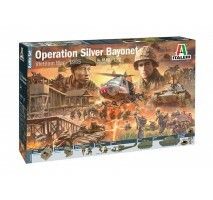 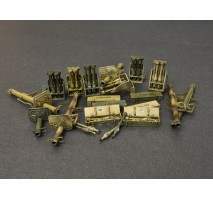 1:72 VIETNAM WAR: Operation Silver Bayonet, 1965 - diorama, 100 figures This set includes: -village house (MDF laser cut) -small village house (MDF laser cut) -Battlefield buildings -Vietnamese infantry Viet Cong 50 figures -U.S. infantry 50 figures ..
1:35 German Grenades & Mines SetKit contains unassembled plastic model of German Grenades & Mines with Ammo Boxes, Molotov Cocktails with Wooden Box. 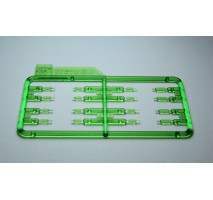 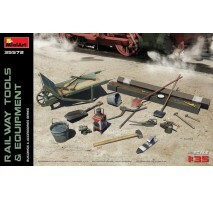 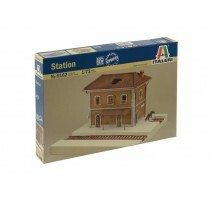 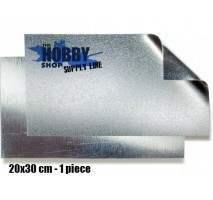 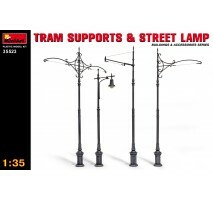 TOTAL DETAILS 125113 PLASTIC PARTS40 CLEAR PARTS12 PHOETCHED PARTSDECAL SHEET..
1:35 Railway Tools & Equipment..
1:35 East European Home StuffKitul contine piese pentru realizarea unui set de mobilier si ustensile de bucatarie in perioada anilor 1930-1940 Atentie! 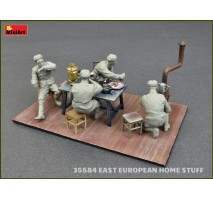 kit-ul NU contine piese pentru realizarea podelei sau figurine!.. 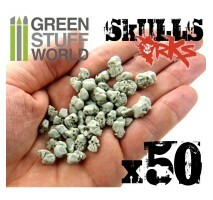 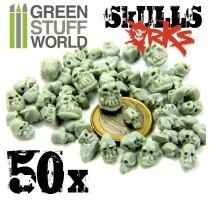 1:35 Hessian Bags(sand, cement,vegetables, flour etc)..
Sack of ORK skulls made of high-quality resin. 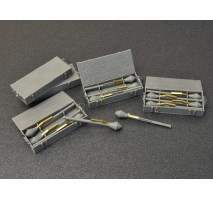 This product comes unpainted and it is perfect for 25-28-35 mm miniatures (1:76, 1:48, 1:35).Each sack includes 50-54 resin skulls of loose cast resin skulls randomly selected from 30 dif..
Luftwaffe Jack Stand Set (double pack)- used to fix fighter airplanes in perfect horizontal position to fine tune on board armament firing direction or for repairs- perfect for diorama- set contains : 4 small jacks, 4 large jacks and 4 saw hors.. 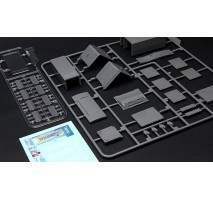 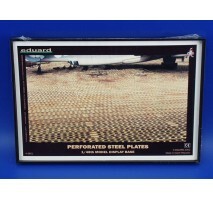 Display base for aircraft scale models- depicts a segment of airfield landing area with perforated steel plates- material - plastic- comes UNPAINTED- ideal for displaying 1:48 scale aircraft modelsDimensions : length - 22 cmwidth - 15.7 cmheight.. 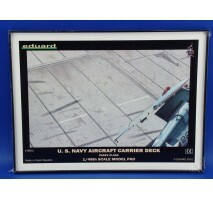 Display base for aircraft scale models- depicts a segment of a US aircraft carrier deck landing area - material - plastic- comes UNPAINTED- ideal for displaying 1:48 scale aircraft modelsDimensions : length - 40 cmwidth - 30 cmheight - 1 cm..
1:35 WWI Turkich Infantry Weapons & Equipment (100% new molds)..
1:35 FIELD TOOL SHOP ..
1:48 WWII GERMAN AIRCRAFT WEAPONS..
1:35 HIMMELSDORF DIORAMA SET - World of Tanks World of Tanks - HIMMELSDORF DIORAMA SET THE BOX CONTAINS: 1 CHURCH DOOR 1 CHURCH WINDOW ROAD SIGNS WITH WoT DECALS BRICK WALL 1 POSTER (42 x 57 cm) Himmelsdorf Diorama Set – Relive your favourite ..
1:72 WATERLOO 200 - NAPOL.WARS: BRITISH HEAVY CAVALRY - 18 figures..
1:72 Station 100% NEW MOULDS-BASE NOT INCLUDED ITALERI colours for this model: F Wood 4673AP F.S. 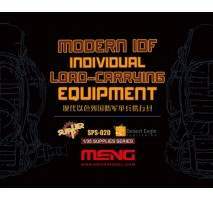 17043 F Earth Red 4707AP F.S. 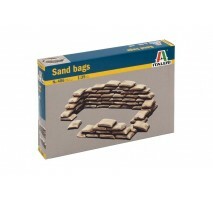 30117 F Sand 4720AP F.S. 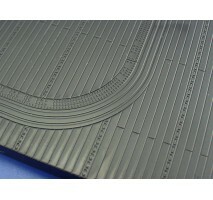 30475 F Light Gray 4765AP F.S. 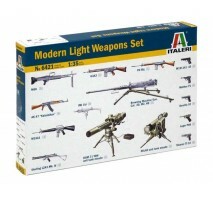 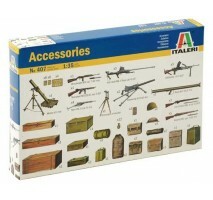 36495 ..
1:35 MODERN LIGHT WEAPON SET MF Gun Metal4681APF.S. 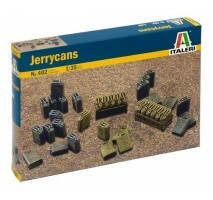 37200 F Euro I Dark Green4729APF.S. 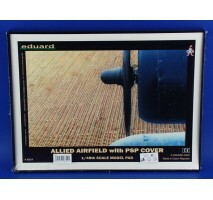 34092 F Gull Gray4763APF.S. 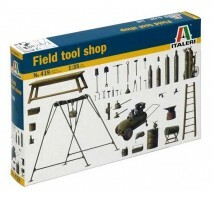 36622 F Black4768APF.S. 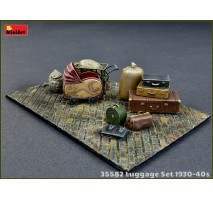 37038 ..
1:35 MODERN BATTLE ACCESSORIES ..
20’ Military Container 100% NEW MOULD The 20-feet freight container is a key element for the international logistics. 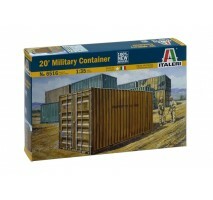 The 20-feet freight container, and the larger version and roomy 40-feet container, are in fact the international standard ref.. 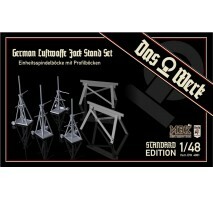 This resin kit is an excellent addition to your dioramas. 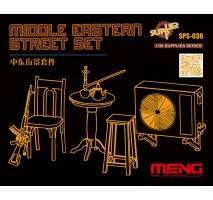 The hookah and teapot are quite typical in some regions. 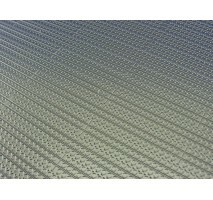 The air conditioner outdoor units can also be seen in many hot spots. 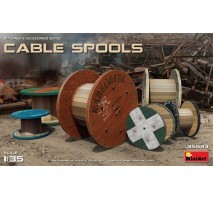 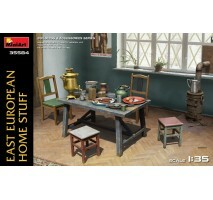 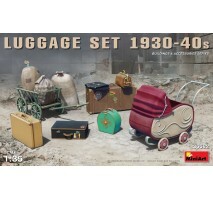 This kit includes a table & chair, an air conditioner ou.. 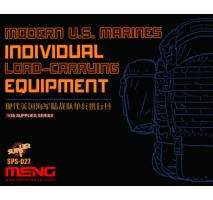 The United States Marine Corps has written a glorious legend with courage and blood for more than two centuries. 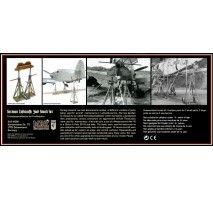 Now, it’s the backbone of the U.S. quick reaction forces. 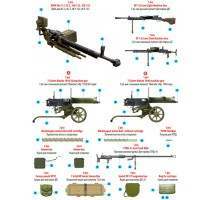 In recent years, the United States Marines has received a series of unique indi.. 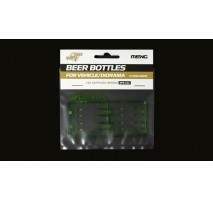 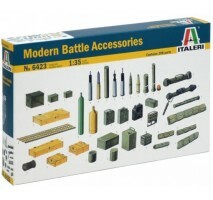 This 1/35 scale beer bottle model kit contains 16 bottles including 4 types of beer bottles. 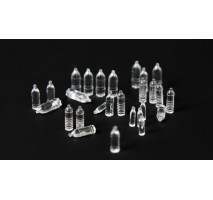 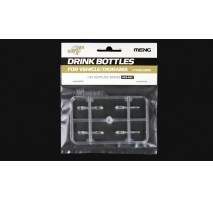 These realistic bottles are made of high-quality light green transparent plastic. 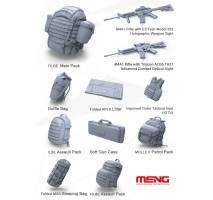 They can be put onto vehicles like modern tanks and military armored vehicl.. 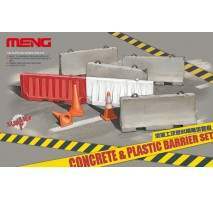 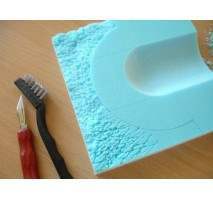 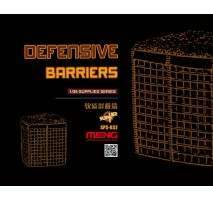 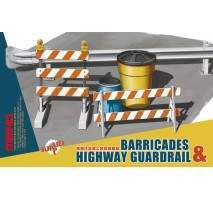 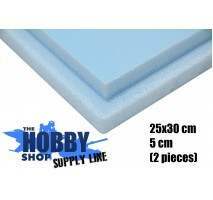 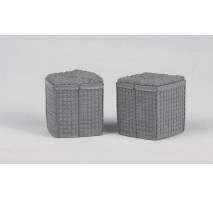 This 1/35 scale Concrete & Plastic Barrier Set consists of 21 parts, including 4 concrete barriers (with outworn surfaces), 1 mold (for modelers to make concrete barriers with gypsum), 2 plastic water-filled barriers, 3 cone barriers and 2 cone b.. 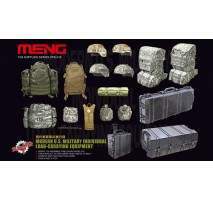 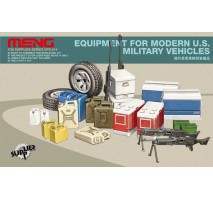 This 1/35 scale SPS-014 Equipment for Modern U.S. Military Vehicles kit consists of 80 parts for the following items: 3 kinds of coolers, 2 of each; military water containers and Jerry cans, 2 of each; civilian fuel cans of 3 sizes, 2 of each; Barret..
Modern IDF Individual Load-carrying Equipment resin kit in 1:35 scale consists of :two different forms of 95L large tactical backpack, one 75L backpack, one vertical large duffle bag, one tactical assault backpack and one 3L hydration pack. 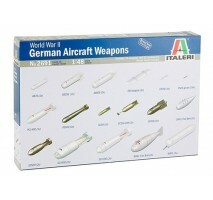 All these.. 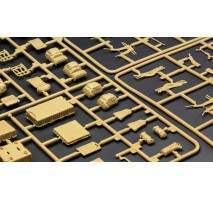 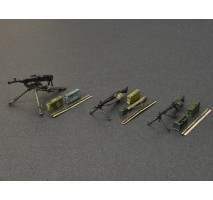 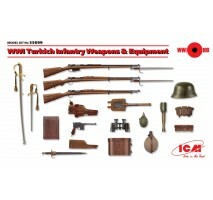 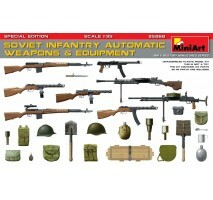 Plastic 1:35 scale kit of modern US military individual equipment. 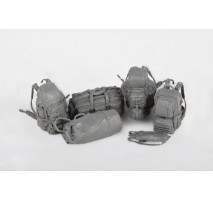 It consists of :- three different large packs- two different medium packs- three different "Pelican" hard cases- one camelback- two rolled sleeping foam mats- two different cante.. 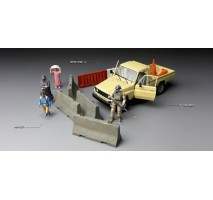 This 1/35 scale vehicle tyres model kit can be used on all modern military vehicle models and in dioramas. 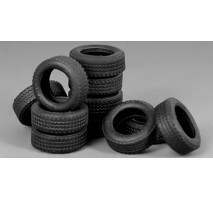 The rubber-made tyres with rich and fine threads are as realistic as the real ones. 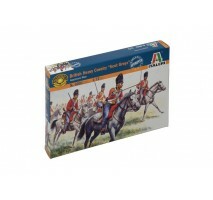 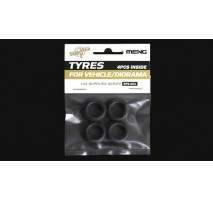 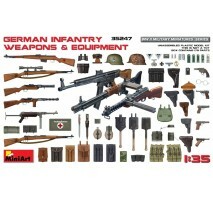 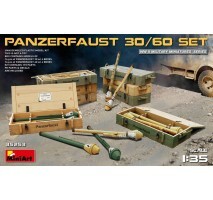 Tyres of this model kit can be put or mounted on military v.. 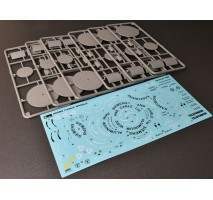 This 1/35 scale Vending Machine & Dumpster set consists of 28 parts on two sprues. 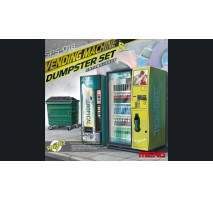 This set offers two different vending machines and one dumpster which can be used in dioramas of modern subjects. 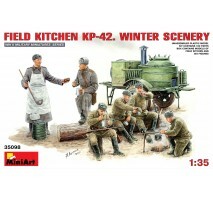 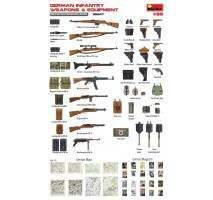 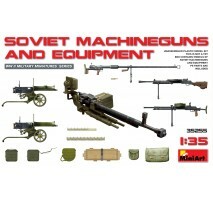 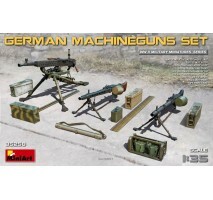 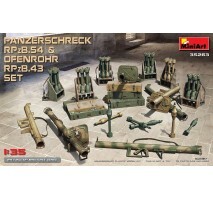 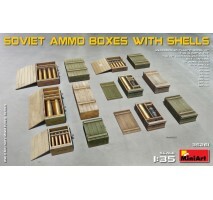 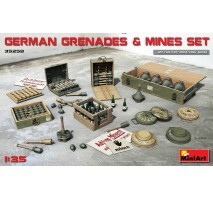 The vending machines and dumpster can be put in t..
1:35 Field Kitchen KP-42 - Winter Scenery - 6 figures..
1:35 Soviet Machineguns & Equipment..
1:35 Soviet Ammo Boxes w/Shells..
1:35 Panzerschreck RPzB.54 & Ofenrohr RPzB.43 Set HIGHLY DETAILED MODEL PANZERSCHRECK RPzB.54 OFENROHR RPzB.43 AMMO BOXES, BACKPACKS & PROJECTILES PHOTOETCHED PARTS DECAL SHEET ..
1:35 Tram Supports and Street Lamps..